MatMate 101 is the affordable solution to your mat cutting needs. It cuts both a 45° bevel and a 90° straightedge opening. 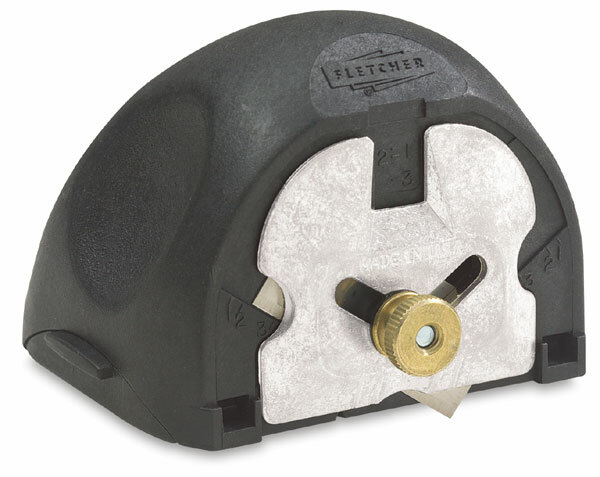 This cutter features an easy blade depth adjustment for matboard and foamboard up to 1/4" (6 mm) thick, a push or pull motion, and a comfortable fit for both left or right hand use. Start and stop marks control over and undercuts. It can be used free-hand, against a straightedge, or adapted to any MatMate system.